You’re here for the money. You want to make it and you want to grow it. 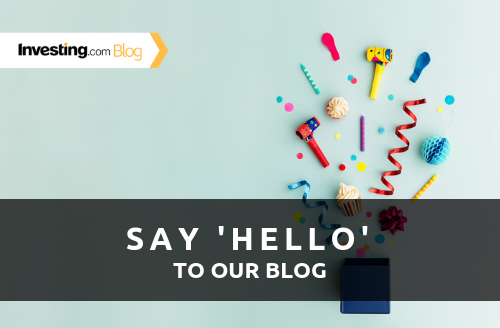 Now that we got your attention, we want to welcome you to our brand-new blog. To be frank, we’ve been wanting to add a blog for some time now, however we first insisted we focus on what matters to us most: providing our users with anything and everything to do with the global financial markets. Now, we feel like the time is right to launch our blog. It doesn’t matter if you’re a cautious investor, who prefers stable bonds, or if you like to take a riskier approach and put your trust in high-volatility, high-reward stocks, a crypto trader or a forex arbitrageur. You want to see your numbers in the green. But what do you do when the markets close? Do you take a break and relax? Do you read-up and prepare for next week’s race? In the What’s New section, we’re going to discuss new tools, features, and options we’re going to add to the website and the Investing.com apps. Under Inside Investing we’ll be uploading interesting stories and tidbits, such as investments, markets, and industry trends, advice from our experts and more. We’ll also include periodic summations and breakdowns, as well as anything else we think would be interesting for you - the user. Finally, in the Company News section, you will find updates about Investing.com - be it partnerships, milestones, and anything directly related to Investing.com. We plan to share interesting and relevant data, company updates and anything we think can help you achieve your end goal: to make more money. So, come back and visit us as we will share new blog posts here regularly.